Frantic and humorous, The MEG is the best marine biology documentary this side of Finding Nemo. Before I was old enough to start kindergarten, both of my parents worked, so I spent most of my days at a daycare that one of my mom’s friends ran. We basically just sat around and played with her older kids during the summer and watched TV when it rained. One day, they decided to watch Jaws. I can’t say I remember a whole lot from that first viewing other than the first few shark attacks (PG rating aside, it’s probably not a movie for four year-olds to watch), but when I finally sat down to watch it when I was older, I was enthralled by it. From the hunt to Quint’s legendary USS Indianapolis speech, it was a top-notch thriller that rightfully earned legendary status. Since its 1975 release, there have been other shark movies that have attempted to replicate the success of Jaws, but none have really come close. And of course, there’s the Sharknado franchise, which…I don’t even know what to say. It exists. 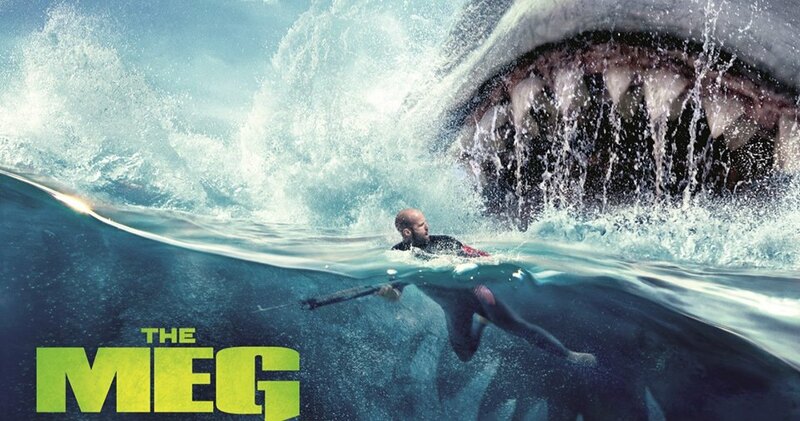 And then there’s The Meg, which may be the first true attempt since Jaws to create a big screen shark-based film franchise that doesn’t involve time travel and Tara Reid. Efforts to produce this film have been ongoing since 1997, but now after nearly two decades, it’s finally ready for consumer viewing. 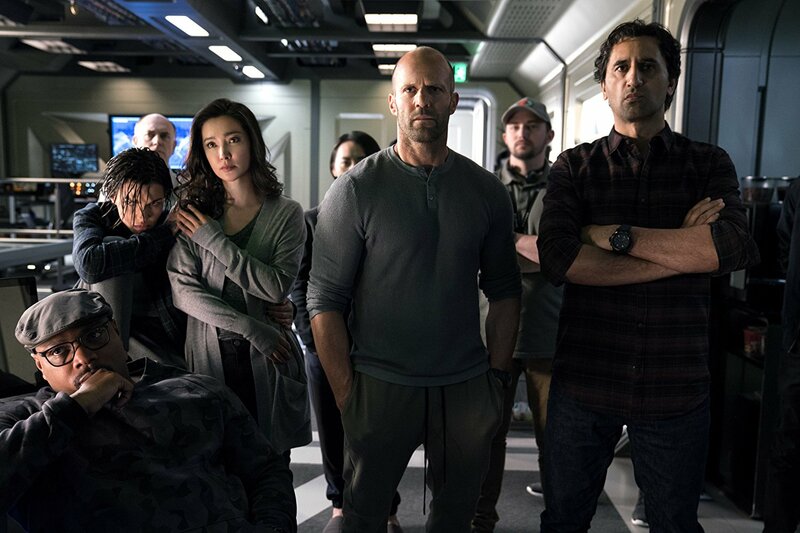 Based on the eponymous Steve Alten novel, the film’s plot revolves around Jonas Taylor (Jason Statham), a rescue diver who specializes in deep-sea rescues. Taylor loses two of his colleagues and best friends when one rescue ends abruptly after they’re attacked by an unknown force. Disillusioned, Taylor moves to Thailand and spends most of his day drinking in the bar below his apartment. Five years later, it’s revealed that billionaire Jack Morris (Rainn Wilson) has been financing an underwater lab known as Mana One for the purposes of exploring the Marianas Trench. Hypothesizing that the floor of the Trench is actually a false floor and there’s an unexplored biosphere below, a small submersible inhabited by three people descend and release a rover, which is quickly destroyed by an unseen force. Once contact is lost with the submersible, two of the supervisors (Cliff Curtis and Winston Chao) head to Thailand to recruit Taylor to head the rescue. It’s a pretty thin plot, but to be honest, if you’re going to see a shark attack movie featuring a prehistoric mammoth shark, you’re probably not looking for the cinematic version of Ulysses. By sheer coincidence, I’m sure, one of the people in the trapped submersible, Lori (Jessica McNamee), happens to be Taylor’s ex-wife, which Mac (Curtis) and Dr. Zhang (Chao) use to convince him. If you’ve seen any horror movies before The Meg, you should also have no problem recognizing when a plot twist or jump scare is about to occur. There’s nothing here that’s groundbreaking whatsoever. Still, it’s a summer blockbuster, and in spite of the lack of innovation, I found myself enjoying it for the most part. There’s quite a bit of humor in it, and for the most part, it doesn’t seem overly forced. The dialogue seems fairly organic, and the supporting crew, notably Ruby Rose and Page Kennedy (who previously worked with Wilson on the short-lived TV show “Backstrom”), do their job aptly. If you’re looking for a visual tour-de-force, eh. Look elsewhere. The CGI is barely passable for a 2018 film. When the submersible breaks through the false floor and we finally see the biosphere, we’re meant to be left with a sense of wonder and awe, but for me it fell well short of that goal. It isn’t so awful that it takes you completely out of the realm of enjoyment, but it won’t be leaving you breathless, either. Overall, if you’re looking for some mindless entertainment, this should hit the target dead center. It’s not going to cause a paradigm shift like Jaws did, nor will it impact droves of beachgoers this summer, but it’ll at least be a fun couple of hours.